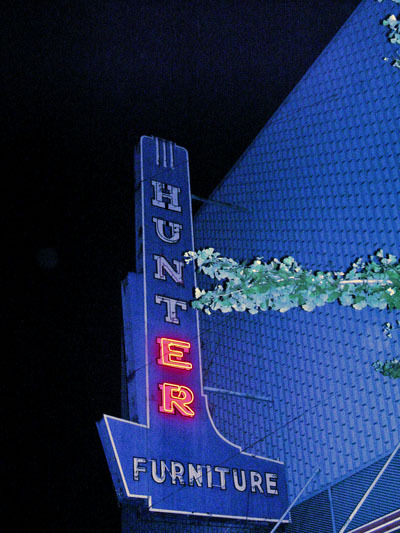 Hunter Furniture has been serving the Birmingham community since 1920. I’m not sure of how long their sign has been in service or how long they’ve been at their current address. While not completely operational, it still does its part to shine a light on a section of city that is beginning to bustle. There are many that would not know that they were in the Fountain Heights neighborhood when they are standing in front of this building. Click here to view the other signs. As more buildings are restored and new residential units come online, I hope that many of the signs that are currently “dark” in this section of town can spring back to live. We’ll include some of them in this tour as we go on. And I have a feeling that I’ll start getting back to my love of research with regards to this, and can give you a little more info on things too. Keep it relevant: Lori Slesinski and the Martin family. Next Post Speak. Drink. Mix. Explore. Change.